Everybody seems to be adding some cool plugins to their mix bus nowadays. They’re usually some sort of blend of EQ and mix-glue compression. 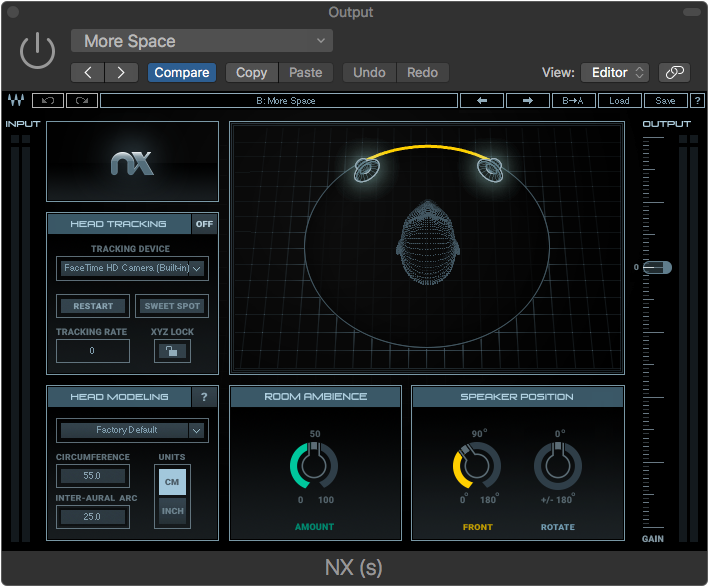 But there are some other interesting and useful plugins available now that are less about sound and more about utility. Some of them are even free! 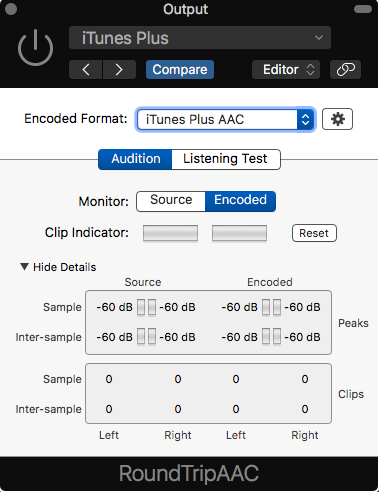 This is a free Apple-only plugin that allows you to check what your AAC bounce will sound like in real-time. For those of you who still think AAC is an Apple format – check out this article. AAC will eat mp3 for breakfast. The plugin allows blind-testing as well. You can get it as part of the free “Mastered for iTunes” resources from Apple. The pack also gives you some other cool tools. For those of us that need to track how long we’re spending on someone’s project, this cool little plugin basically just counts the time that the project is open. 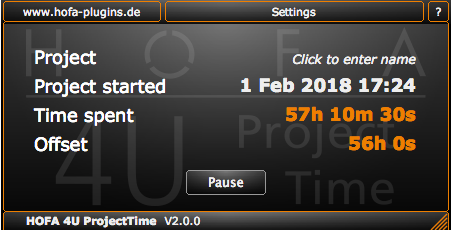 You can pause it for breaks, and if you didn’t have it before the project started, you can add a time offset, although you can’t change the date/time when the project was started, so it keeps you honest. You can even export a log and add comments. Windows and Mac. Get it here free at HOFA. This plugin is for tracking your song’s metadata. Sounds riveting eh? Metahdataaaaahhh. I always hear that in a robotic voice. Actually this is way more important than you’d think. One of the latest problems with streaming and downloading music is actually figuring out where the money goes. 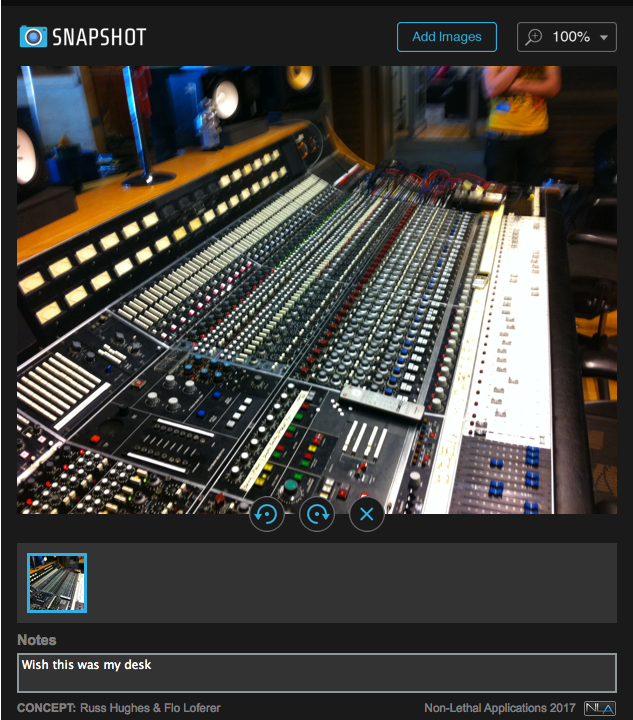 So in this plugin you enter details about who worked on each track. 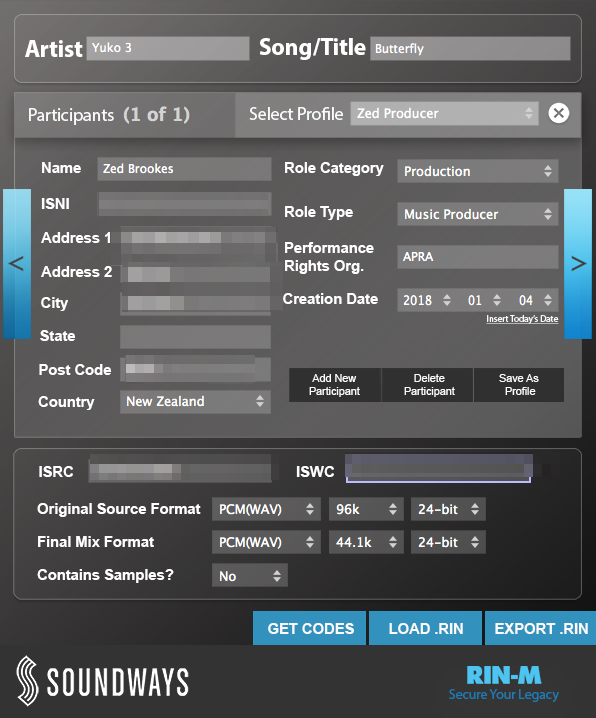 For each member of the team – whether it be artist, engineer or producer (and others) you can track who did what, the shares each have in the music, their role, their performing rights organization, contact details, and the song’s ISRC code amongst other stuff. It can also save individual profiles to make entering data easier. As the track moves down the production chain this data can go with it. There’s a free plugin and a more enhanced paid version that can do PDF reports and embedding into audio files and cool stuff like that. Check it out at Soundways. This is a free Mac and PC plugin for storing images in a DAW. Whether it be photos of a drum mic setup or the position of the knobs on an equipment rack or a mixing desk it’s pretty darn useful. Brainchild of Russ Hughes from Pro Tools Expert and Flo Loferer from Non-Lethal Applications. 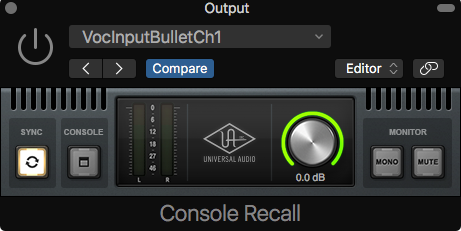 This plugin’s a little more pricey but still really useful. It’s been around for a while and is now up to version 2. You can load up to 9 reference tracks and then A/B them against what’s playing though your master bus. It allows level compensation for each reference and can handle sample rate and file type differences easily. It has metering and can be controlled via MIDI. Very handy. 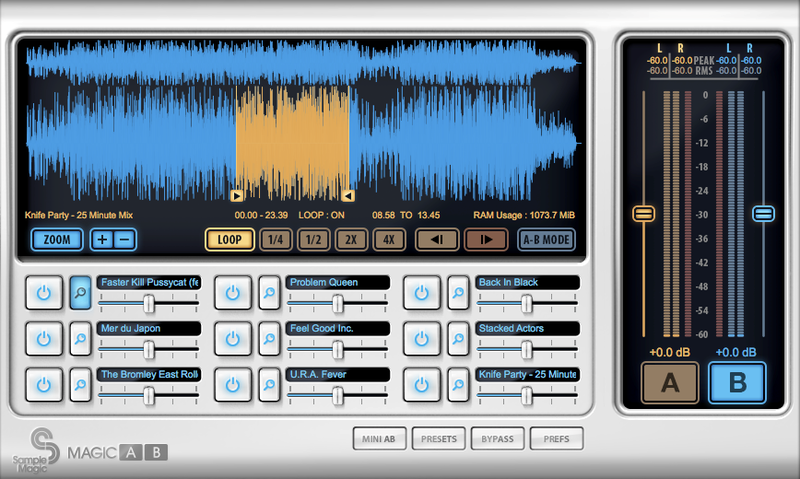 You can also loop sections of your loaded tracks and save presets of various references. $60USD. You can get it at Plugin Boutique. This cool plugin emulates various studio monitoring environments through a set of headphones. It’s basically a binaural room simulator, but it does a lot more than that. There’s a few of these products around now, but this one seems to work pretty well (Toneboosters TB Isone is also pretty good and comes in an inexpensive bundle), plus it can use a video camera for head-tracking, although I don’t bother with that. It’s around $10USD at Waves. This is a handy specialised plugin for controlling and saving the settings for a UAD Console setup, which you can imagine is pretty handy when coming back to previous projects and wanting to carry on recording. As a bonus it controls the master volume, and has mono and mute buttons for the master out. It comes free as part of the UAD software package, but I’m mentioning it here as some UAD owners have no idea it even exists.